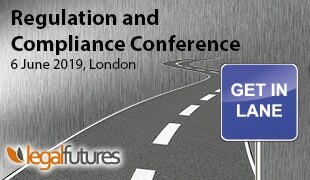 Requiring an intensive assessment of all internal policies and procedures, the attainment of this international standard demonstrates our commitment to compliance and information security, which naturally are priorities where we’re concerned. Published by the International Standardisation Organisation, ISO 27001 is a specification for an information security management system, setting out a robust framework to govern the risk management processes of a business. Effective risk management is what Lawyer Checker stands for – it’s why the implementation of both Account and Entity Screen and Consumer Bank Account Checker are so well respected. Given that we provide these market-leading solutions in risk management, we felt it was important to show our commitment to this international standard, and that data protection is the priority of both our systems and staff. As well as a comprehensive review of all our policies and procedures, the steps toward the accreditation involved departmental training, where the processes surrounding every bit of stored data being subject to serious scrutiny. Rather than simply being implemented at a senior level, the appointment of security champions throughout the business has created a firm-wide awareness and understanding of the framework, ensuring that the importance of the system remains a priority across all levels. Achievement of the re-certification not only shows that our risk prevention controls are of the highest standard but also that our data management and protection framework meets an internationally renowned standard – providing our clients with peace of mind. The extent of the accreditation and its significance for Lawyer Checker and our clients does not end there; given the structured documentation, monitoring and technical control involved, ISO27001 provides us with an excellent framework for GDPR compliance. 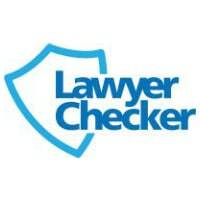 Lawyer Checker provides a range of well-recognised risk-based products to law firms including Account and Entity Screen, Consumer Bank Account Checker and OnDMARC. Law firms who would like to find out more about protecting themselves against fraudsters, and to hear about new innovative products on the horizon, should contact us today by calling 0800 133 7127 or email support@lawyerchecker.co.uk.